Japanese company Kyosemi has developed a revolutionary spherical micro solar cell that is capable of capturing sunlight from all directions. Called the Sphelar, the cell shuns the traditional flat substrate photovoltaic design and opts for much more efficient shape – the sphere. While traditional flat solar cells are easy to design and produce, their main problem is that their efficiency relies on their relative position to the sun. While some companies have addressed this with motorized frames that follow the sun’s path, Kyosemi has gone for a completely new approach that doesn’t need costly motors to work. 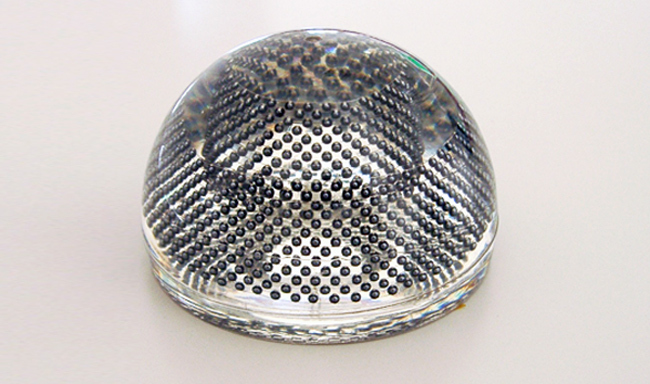 Their innovative new Sphelar® is a matrix of tiny, spherical solar cells that are designed to absorb sunlight at any angle. 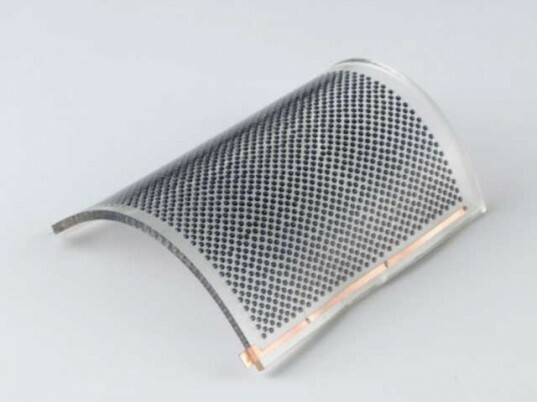 This means not only more efficient energy production, but less power needed for motorization of solar cell frames. The design and geometry of Sphelar cells means that by harnessing reflected and indirect light, energy conversion is close to 20% efficiency – a target far beyond most flat photovoltaic technologies. Its design also makes Sphelar appropriate for applications at a variety of scales, including mobile electronic devices. With innovation like this, it is no surprise that Japan is leading the world in solar power technology. Japanese company Kyosemi has developed a revolutionary spherical micro solar cell that is capable of capturing sunlight from all directions. Called the Sphelar, the cell shuns the traditional flat substrate photovoltaic design and opts for much more efficient shape - the sphere. While traditional flat solar cells are easy to design and produce, their main problem is that their efficiency relies on their relative position to the sun. While some companies have addressed this with motorized frames that follow the sun's path, Kyosemi has gone for a completely new approach that doesn't need costly motors to work.